There’s no denying that corporate gifts play an important role in promoting your business and keeping you top of your client’s minds. They’re vital tools in the communication promotion blend. But, a corporate gift is also an essential arsenal in your toolbox. Offer the right gift at the right time, and you can solidify relationships with your recipients. It’s for this reason that the right fit offers a valuable means of creating long-lasting bonds with customers and employees alike. In turn, that builds support and promotes new affiliations for your brand. There seem to be a few things to consider when it comes to gift giving, and that includes the way in which you present your corporate gifts. The devil well and indeed is in the detail when branding your gifts. The first step is to consider your goal when it comes to corporate gift giving. There’s a reason for giving a gift. It’s that reason that will dictate what you choose to offer. Studies show that gift giving reasons range from thanking long-term customers to recognizing new prospects. The underlying idea, however, is the same: to affirm and enhance connections between you and your recipients. If you intend to increase brand awareness of your company, aim to select a gift that’s associated with your business as it will help further the association in the minds of your recipients. One way to ensure this happens is with the presentation. To ensure your branding piques the recipient’s interest, you need to think outside the box. The presentation is often more important than the gift. A beautifully presented gift with well-thought-out packaging shows that a great deal of thought and effort has gone into every little detail. That’s why it’s important to spend just as much time on the packaging and presentation as the gift itself. 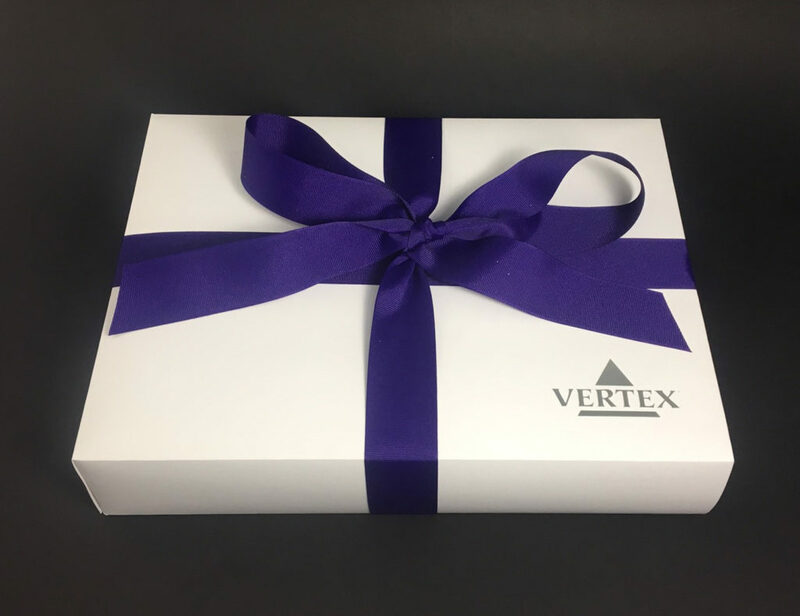 Great presentations increase the excitement of receiving your gift, and a gift presented in bespoke, branded packaging adds to your message of how much you value the recipient. Packaging can be a challenge that’s dreaded by businesses. But, it doesn’t have to be. From bespoke keepsake boxes to custom-printed tissue paper, you can present the perfect gift every time. Here are just a few examples for inspiration. Gift bags work well for multi-piece gifts. You can wrap each item individually and place them inside the bag. Add some branded tissue paper to the top of the bag and tie a classy bow on the handle that remains in line with your corporate image and colors. If you want your corporate gifts to remain a surprise until they are opened, a keepsake box is a way to go. With different sizes to choose from and the ability to include your branding, you’re sure to find a box for nearly any shape of gift. Keepsake boxes are elegant, and they work well for tableware, gourmet foods, logo-ed mugs, and so much more. Just add custom-printed tissue paper neatly laid on top of the gift and a branded ribbon as your finishing touches. Don’t be shy to include a personal card, too. If you’ve decided to give your recipients a beautiful scarf or personally-chosen item of clothing, a garment box is a great way to present your well-thought gift. Garment boxes, and even keepsake boxes, usually have a top that fits easily to the box and can be found in an array of sizes. You can then cover the box with branded wrapping paper and finish it off with a ribbon that matches the color of your brand. The ultimate idea, of course, is to have your gift box custom branded with your business’s logo. For the ultimate finish, add a broad band of tissue paper that matches the pattern of the box and boasts your company’s logo. You could tape the tissue paper under the lid to add some creative wrapping to your beautiful box. When it comes to corporate gift giving, it’s all in those little details. From the perfect gift to the way in which you present it, the message should always be that you, and your brand, have taken the time to put your gifts together, complete with bespoke packaging and branded wrapping. Go ahead, think outside the box. 2018 © Keepsake Box USA. All rights reserved.